5. One Part Podcast - This is one of the very first podcasts I ever listened to. Jessica Murnane, a plant-based food blogger, interviews an array of movers and shakers in the world of food, health, spirituality and business. My favourite episodes include this one with Grace Bonney from Design Sponge, this one with my fav AKA the man Dr Thomas Campbell, and this one with Ashlae Warner from Oh Ladycakes! If you're into food blogs and questions about the connection between food and health then there's bound to be an episode for you :). 4. Prince Street Podcast - This is a relatively new podcast all about FOOD! Why we love it, how we make it, who the people are behind it, and what emotions eating it evokes in us. The podcast is this odd mixture of informative, serious, funny and totally weird (interested in a report on competitive eating anyone?). Episodes follow themes such as 'craving', 'triumph' or my favourite so far 'rule breaking'. So if you love food as much as I do, then you'll love this podcast;). 3. Dear Sugar Podcast - The dear sugar podcast is like a true, old school agony aunt column, just re-jigged to make it relevant for audiences in the 21st century. Like traditional agony aunt columns, listeners get to write letters to the show's presenters outlining an array of problems and dilemmas they wish to get advice about. Though I can barely relate to any of the topics or problems presented in the show, I have still found the podcast immensely helpful especially in the last year during which my life has taken rather odd twists and turns (I kinda wrote about those here and here). That's because I can relate to the emotions described by the letter writers - sorrow, doubt, pain, fear all the stuff you sometimes feel no one can understand and no one is going through except you. So yeah, if you need to get confirmation that your crazy, silly, deep, intense thoughts are just normal do have a listen ;). 2. Modern Love Podcast - I can't even begin to tell you how much I adore this podcast. Despite the title this is NOT a soppy lovey dovey podcast, but in fact a collection of THE most gorgeous essays about unconventional love, loss and redemption. This episode is HILARIOUS, this one really moved me and this one is shockingly recogniseable in a really good way. Have a listen and tell me what you think. I'd love to hear your thoughts :). 1. On Being Podcast - I don't think I can live without this beautiful podcast which tackles all the big questions surrounding the craziness that is human life. Not only is the presenter and interviewer phenomenal, but her guests are just incredibly inspiring, deep thinkers with stuff to say you actually want to listen to. This podcast has undoubtedly changed my life in ways I can't even begin to describe. My favourite episodes include an interview with Pico Ayer, Paulo Coelho, John Lewis and Elizabeth Gilbert. Do listen in on this one, perhaps just before going to bed. So soothing and beautiful. Enjoy! Got a podcast I MUST listen to? Then please do share your discoveries in the comment section below. I'd love to find new ones to get excited about. Thanks for reading everyone and see you in 2 weeks time. P.S. Are you interested in a 1-2-1 food styling and food photography session like Ana whom I made this curry for? 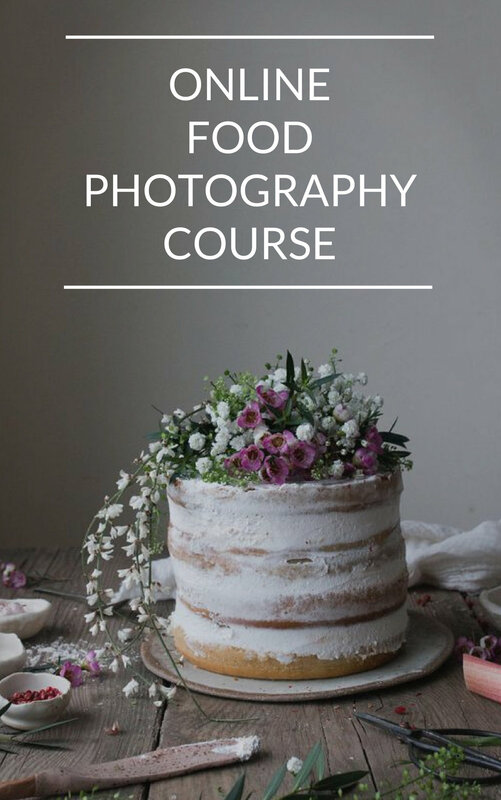 Then feel free to get in touch at kimberly(at)thelittleplantation(dot)co(dot)uk or look at my workshop page to see when the next food photography and food styling classes are taking place. I must confess I had ZERO intensions of EVER sharing this recipe with y'all. Not because it isn't share-worthy or delicious, but because it's a recipe by Hugh Fearnley-Whittingstall which I only mildly adapted. See, I've shared a number of his recipes on the blog already and it's getting rather embarrassing that I keep putting his stuff out there (*blush*). So yeah this is definitely the last adapted recipe of his I'll ever post. Hence enjoy the ride whilst it lasts ;). You might wonder then why I AM sharing the recipe seeing what I've just told you. Well, I made this curry during a 1-2-1 food photography and food styling class I taught a few weeks ago and then posted a picture of it on instagram. Super surprisingly the response was phenomenal with LOTS of requests to feature the recipe on the blog! Always keen to give you what makes you happy, I decided to post it :). I really hope you have a chance to make this curry and when you do, don't forget to tag it with #thelittleplantation so I can see and share your creations on my social media :). Happy cooking! Pour the oil into a large frying pan over a low-medium heat. Add the onions and sweat them down until translucent, stirring them regularly (for about 5 minutes or so). Once the onions are ready, add the ginger, garlic and curry powder. Briefly stir them before adding the chickpeas, ketchup and some water. Simmer and stir for about 5 minutes or so, then add the lemon juice, a pinch of salt/pepper and serve with fresh coriander and a portion of rice. It's THAT quick and easy. YUM! Tip 1: You can serve this with basmati rice, naan bread or cauliflower rice for a grain free option. Tip 2: I used white onions for food photography purposes, but you can easily use red ones instead.